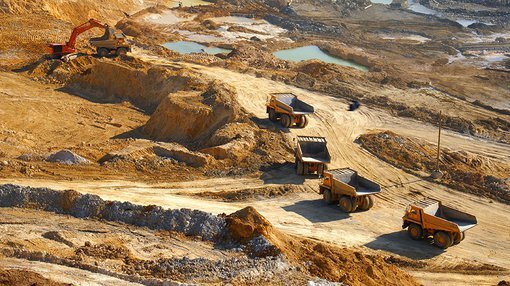 Castillo Copper (ASX:CCZ), an ASX-listed base-metals junior focusing on copper, cobalt, zinc and nickel, has reported that its initial drilling and sampling has intersected high-grade sulphide mineralisation at the Cangai Copper Mine in New South Wales. According to a market update, CCZ says it has collected samples from stockpiles near the main lode, and obtained excellent pXRF readings between 10-18 per cent copper, 7.9 per cent zinc and 1,300 parts per million cobalt. CCZ has identified these results as the next focus for high-priority targets for bulk sampling as they can be included in a potential JORC Resource upgrade. The geological team at CCZ says it “is delighted with progress, as the drilling program validates the current JORC modelled inferred resource of 3.2 million tonnes at 3.35 per cent copper; 20.2 grams per tonne silver and 0.80 grams per tonne gold”. Initial geological interpretation suggests the new anomalies comprise highly mineralised sulphides that have yet to be factored into CCZ’s current JORC Inferred Resource. It is, however, early stages here and investors should seek professional financial advice if considering this stock for their portfolio. Having received such positive results, CCZ now intends to reorient its drilling program to factor in the five anomalies discovered in the recent FLEM survey. This will “include fast-tracking an application to the regulator to vary and expand on the current campaign immediately,” according to a CCZ press release. 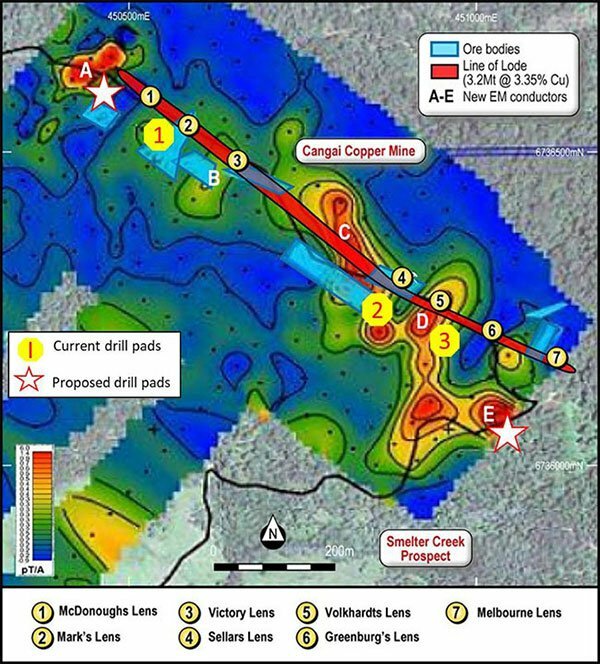 The conductors discovered in the FLEM survey will be a major focus as drilling continues, because CCZ’s published results bear strong similarities to Sandfire’s (ASX:SFR) Degrussa mine in Western Australia where “high-grade supergene ore oxide material sits above larger volumes of highly-mineralised sulphides”. 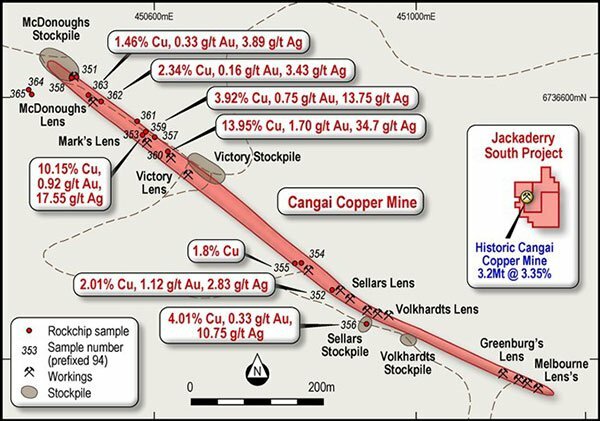 CCZ is expecting a flurry of assay results later this year as its project exploration program goes from strength to strength. One key development is that CCZ intends to shift the location of its drill-pads for future drilling activity to better test the recently discovered anomalies. The early results from CCZ’s drilling and sampling program are extremely encouraging and highlight the potential for a significant resource upgrade, once the exploration drilling is completed and the results are 3D-modelled. CCZ Executive Director Alan Armstrong stated: “It is pleasing to see excellent pXRF readings up to 4.5% copper at this early stage and confirmation the JORC modelled inferred resource has been validated. It’s clearly a gamechanger. The Jackaderry Project is comprised of three prospects in NSW that are highly prospective for copper-cobalt-zinc. Of significance is the historic Cangai Copper-Cobalt Mine (within Jackaderry South) as legacy data confirms the presence of supergene ore with up to 35 per cent copper and 10 per cent zinc which implies direct shipping ore is potentially feasible. In September last year, CCZ announced one of Australia’s highest grade JORC-compliant Inferred Resources for copper: 3.2 million tonnes at 3.35 per cent copper.